When Ed Miliband won the leadership by just over 1% the media had a field day. The wrong brother who had been backed by the unions won by just a fraction in a run off. MPs who supported David Miliband indulged in their usual ritual of reacting to events through Westminster’s tedious gossip machine whining to journalists that the result was a ‘disaster’. Since then the voting procedure changed. The electoral-college is out replaced by one member one vote. Candidates would be elected by members, and members of Labour affiliated trade unions would have to register as a Labour supporter to get a vote. The right of the party should have been delighted. On the surface it looked as if they had marginalised the trade unions. They were wrong and miscalculated the unions mobilising their members. And now they are at it again only this time the treatment meted out to Ed from those MPs who never wanted him to be leader is frankly child’s play compared to the venom and plotting against Jeremy Corbyn. Ever since he won by a landslide under the electoral system they had endorsed, against contenders that reflected, in the main, their politics, we’ve had one manufactured row after another to keep attention away from his agenda. An agenda that is actually popular. Take renationalisation of railways – a measure that has the backing of the public. And no wonder - commuting for Londoners is now more expensive than in any other city in the world. We have the farce of state-owned companies from France, Germany and Holland running train and bus services across the UK reinvesting the profits to keep fares down in their home countries. Corbyn had a majority of his MPs in a free vote against military intervention in Syria. A vote that reflects the feeling of the wider public as does his determination along with his shadow chancellor, John McDonnell, to make Labour the anti-austerity party. Yet none of this matters to a cabal of MPs who seek to set tests for Jeremy. He got over electoral and political hurdles in the last few months so now it is on to May’s election in London, Wales, and Scotland. He’s only been leader for four months and if anyone thinks that is long enough to turn around the electoral hurricane that virtually wiped out Labour in Scotland they are living on another planet to the rest of us. But of course those plotting ‘coups’ know that. The SNP political hurricane was a long time in coming. Certainly the signs were there from 2007 and the SNP minority government but they were left to fester. Now the ‘May coup plotters’ know this. The impression given is that they wouldn’t mind failure so that they can exploit it for their own narrow political ends. This toxicity finds an outlet in the right wing press. Ownership of the media matters. Ed Miliband paid a heavy price for arguing that the concentration of media power in too few hands is damaging to our democracy. Jeremy has already said that a Corbyn government would take action on media monopolies based on breaking up single ownership of too many sources of information. It’s a policy that should be embraced. 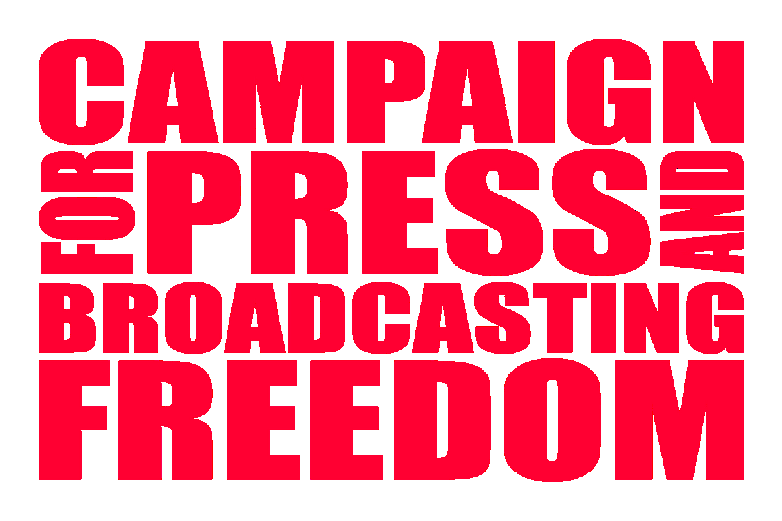 I’ve been involved in the Campaign for Press and Broadcasting Freedom (CPBF) for some time as is John McDonnell. The CPBF has traditionally supported public service broadcasting and the BBC against perennial Tory attacks. At its last meeting however the idea that whether people love it or loath it the BBC must be protected was challenged. Not the principle of public service broadcasting but people are generally fed up with a BBC that seems to have lost its editorial sense. I’m not surprised that those in the Labour leadership wrote to complain that allowing Stephen Doughty MP to resign live on the Daily Politics coming as it did ahead of PMQ’s was designed to, “promote a particular political narrative”. The BBC editor batted the complaint away arguing that they were merely pursuing a policy of maximising their journalism. What is much harder to bat away is their lack of editorial judgement - the nadir of which must be a running order that put Corbyn and the shadow cabinet ahead of North Korea testing nuclear weapons. Those that voted for Corbyn in their droves disenchanted with old style politics voted for someone who is at heart a radical who believes in democratising our institutions. Their vote should be respected and so should Jeremy’s mandate.